Billboard.com has reported that BMG has relaunched iconic German label Noise Records. Founded by Karl-Ulrich Walterbach in 1983, the label was an important supporter of European heavy rock acts throughout the '80s and '90s, helping to popularize the thrash, speed and power metal subgenres. Key acts among its roster included GRAVE DIGGER, HELLHAMMER (who became CELTIC FROST), KREATOR, RUNNING WILD, GAMMA RAY, KAMELOT, TANKARD and HELLOWEEN, whose second and third albums Keeper Of The Seven Keys: Part 1 and Part II achieved worldwide success in the late '80s. 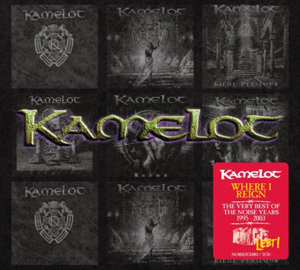 A new KAMELOT compilation entitled Where I Reign: Very Best Of The Noise Years has been released and is now available via Amazon Germany and iTunes.